Last night in a fit of optimism, I packed my winter sweaters and heavy wool skirts into plastic tubs and hauled them to the basement. Out came the cotton dresses and print blouses. Naturally, this morning was chilly, and I see rain splashing into the birdbath outside my window as I write. It's the cold edge of spring. I want a perfume that is an antidote to the amber, leather, tobacco, and vanilla I've been wearing for months. I want something that hints at warm days to come and smells like the air outside: crisp, floral, and green. This is when I reach for Annick Goutal Des Lys Eau de Toilette. A lily's fragrance is potent. This has advantages and disadvantages. The pure, thick scent of just one stem of Stargazer lilies on the mantel will steamroll over the odor of dank carpets or an overfull litter box. Within a minute of coming into a room, guests will say, "It smells good in here." At the same time, lilies can overtake a space, giving it the feel of funeral parlor and fighting with the smell of dinner in the other room. After an hour, guests may well ask for aspirin. Des Lys skips over both of these challenges. First, Des Lys is a light, fresh Eau de Toilette, more along the lines of Eau de Camille than Annick Goutal Passion or Songes. In fact, Des Lys has the refreshing, sheer feel of an Eau de Cologne. I can imagine spraying it on at the height of summer when any scent heavier than a glass of iced tea nauseates, and Des Lys would still refresh. It has about the same lifespan as a classic Eau de Cologne, too. After a few hours, Des Lys is a bare, clean musky whisper of what it first was. Next, Des Lys doesn't smell like the full, sweet lily I expect. Instead, it's dry and green with the barest hint of cassis and a wash of clean musk that lends a sheer soapiness. At least half of Des Lys is crushed stem and leaf, like the smell of a grass stain on linen. The rest is the distillation of a freshly opened lily plunged into ice water. Annick Goutal Des Lys, created by perfumer Isabelle Doyen in collaboration with Camille Goutal, was released in 2003 as a limited edition, and while it's been reissued at least once, it's currently discontinued. It can be found fairly easily though, online and off. My bottle was a gift from a friend who bought it in a duty free shop. Note: top left image is Natural Curls by dandy_fsj at flickr; some rights reserved. This is a great warm weather fragrance, Angela. My sister does not like it nearly as much as I do, so whenever I visit her I “steal” a decant or two from her bottle! Good going! It always pays to have an empty 5-ml atomizer in your purse. stargazer lilies are my special favorite. I grow some in my flowerbeds and you are right—one in the house at a time is enough. Having them blooming in the garden is enough to get me out there weeding for hours. Just seeing that picture has made me yearn for summer (it’s cold and wet here in Michigan too…it has been for months!) I am officially hunting for this one…sigh…another thing I must try. Oh plus you’ve reminded me to step away from the computer and make a dash to the pet supplies for cat litter…. I’m always happy to remind people to get their pet supplies! Summer and lily season seems so far away now. I’m growing some gigantic Sheherazade lilies, though, that are already 6 inches out of the ground. oooooh, Scheherezade lilies! Sound gorgeous… I’m still in the process of transforming my yard from Former Pasture to Farmhouse Garden. Must go google where to find those. I have three of them, and they grow to about 7 feet tall with dozens of flowers. They smell great, too. okay, now I’m plotting where I can put a 7 foot lily…..we live in a wind tunnel but maybe I can sneak a few in on the east side of some arbs… 10 years ago our entire sub was a field …some people complained bitterly about being required to put in trees but to me it was a blank slate just waiting for me to fill!!! I have been searching for Des Lys for a while and can’t seem to locate it. Any suggestions? Hey Daisy, got your package last night (was away last week)…Thanks..it was all great !!! A quick search online turned up lots of hits for Des Lys at different prices. Don’t give up! Thanks..but everytime I go to a particular site (all excited!!) it says “Out of Stock”…UGH..But I am determined! Oh, I see what you mean! Frustrating. If I see any out there, I’ll let you know. I never mind being confused with Robin! Tara, glad to hear it. I’m always concerned that packages are going to disappear into the void that is the postal system. Tara, I’m looking for some too…if I find a bottle I’ll email you with the info. It’s not that I have a problem with lemming….not a problem at all !! Daisy: Step AWAY from the mouse! I mean it. what’s that? sorry, my vision failed for a moment and I can’t seem to read your post…. a lovely and insightful review as always, dear a.
i am always yearning and hoping to find the next dark voluptuous lily scent! Un Lys is on its way from paris..i own a couple of other perfumes with lily accords yet none of them are strong and sensual enough for my taste. could you please let me know of some perfumes with lily (especially the dark brooding one) that i might be missing? Have you tried the Frederic Malle lily, Lys Meditereanne? (I’m absolutely sure I spelled that wrong, but you get the idea). It’s pretty sultry in my opinion. They are dang powerful, that’s for sure. I like them better in the garden then in the house. I like tiger lilies best. They don’t really have much of a smell and they have to stay outside because they’ll be 4 feet tall in a month or two. Tiger lilies are gorgeous. I love the color. and this one, AG Des Lys. Maybe the priest thought your sniffles were because you were touched by the eloquence of his sermon! I don’t generally wear a lot of lily soliflores, so I can’t help much, except to say that your list looks good to me! YSL’s Nu? It’s not a soliflore, but if you’re willing to try Lily & Spice, you might as well try this too. Do you get lily in Nu? I mostly remember incense, but it’s been awhile since I smelled it. What about the Jo Malone, Dark Amber and Ginger Lily? This is a great list. Lily & Spice is a soliflore to me; I don’t get much spice there (definitely recommended). Casablanca Lily is also great! I’m yet to try Gold. As far as Dark Amber and Ginger Lily goes — I don’t get lily there. It’s more of a watery incense to me (I don’t get amber either). BTW, this scent has been re-released by Jo Malone and you should be able to sample in stores (i.e. my Nordstrom’s carries Jo Malone line; so I expect it will be there — if not in April, then in May). I recently tried Ava Luxe Madonna Lily, which I think is absolutely gorgeous and summery. And I don’t like florals. I tried Kai once and wasn’t wild about it–it just wasn’t “me”. But the idea of a less expensive version for people who like it is really welcome! Just had to pop in to say that Passage D’Enfer has a lovely lily note and is perfect for rainy, chilly spring days. Thanks! You’re right about how great it is for a rainy spring day. I love DKNY Gold and Le De on the lily front, and must check this one out too! My neighbour brought round a big bunch of white lilies this weekend, as we just had to put one of our cats to sleep…Will have to watch the pollen with the remaining cat, or we could be completely catless in no time at all! Yes, that orange sticky stuff is like glue. I am so sorry about your cat. I lost two cats over the past year, and I still miss them. I have, though, restocked with one cat, a pudgy charmer named Mae West. “Restocked” is good! I guess you could say that with the remaining(elderly) cat, we are “running our stocks down” for the moment, as she wouldn’t tolerate any Fluffy-come-lately being introduced to the household. That sounds like an elderly cat, all right–a lot of attitude. I admire it. Sorry about the loss of your kitty. When you are ready for new furry family members I encourage you to take a trip by your local animal shelter —pay special attention to the “teenager” cats—I’ve been around cats all my life and spent years volunteering in shelters and I can say from experience that ALL kittens are adorable and loveable…but they don’t ALL grow up to be wonderful pets. When you look at young cats (around 5 or 6 months old) you will begin to see what their adult personality will be like. Sadly, it is usually the teenagers who are first to be put to sleep at shelters. I adopted a six year old cat just for that reason (and that she was completely adorable, of course). Very sorry about your cat housemate! I strongly second Daisy’s suggestion about adopting from animal shelters (though it’s difficult to chose whether one should support the good people who run no-kill places as opposed to rescuing an animal from a high kill shelter). Sorry, I know this is off topic, I do love this lovely AG review and it has got me dreaming! Flitter, sorry to hear about your kitty. They do bring so much joy to our lives. Thanks – he’ll be much missed, for sure. I had a bottle of this (purchased unsniffed) but got rid of it almost immediately because it was very cold on me, and I found it depressing. Of course, this was at the beginning of my perfume “career,” and I’ve discovered that while I love real lilies, they are very hard for me to wear. It is definitely on the cold side, but depressing? I guess I can see that, with the funereal lilies and all. I’m not a huge lily wearer, either. But I am mad for them and have big bunches of them in our dining room whenever I can — especially the Casablanca ones because to me they are the most like fragrance bombs. I find the smell totally enticing, a natural high, though I can only take it in doses as well as it really can be overpowering. Last autumn I visited the David Hockney gallery in Saltaire, the small town of his birth. The gallery (it’s not great, but the town is, as is all of the Yorkshire countryside, of course) is housed in a part of the old textile mill, so it’s a big space with high ceilings… and when I visited it was filled with bouquets of white lilies. It was fantastic! I was so intoxicated, I couldn’t get enough, I started smelling frankincense in the air, but apparently it was only the pure lily scent… So to me it’s a wonderful soliflore scent for autumn or winter, too, though it does sound lovely in combination with the citrus for warmer weather. Lovely images! The combination of lily and frankincense sounds gorgeous, but also churchy–which could be interesting in its own right, of course. In my tiny house, lilies can be overwhelming, but I cut iris, lilies of the valley, lilac, and roses whenever they’re blooming in the garden. I especially love the scent of iris in the house. I’m envious so many of you have gardens full of flowers! I just have a balcony, plus I’m lazy and never grow anything… I buy lots of cut flowers though, the most beautiful decoration in my mind, as well as the most wondrous scent dispensers… though the irises I buy haven’t got a smell at all — I guess only the ones that grow more naturally have that quality. I’m totally swooning over the image of your little house filled with flowers, and more flowers nodding their heads in the garden outside. Right now not much is happening out there except daffodils, plum blossoms, and scentless camellias. It really is nice to have a garden. I get just a touch of lemon with Des Lys, which does have that cooling effect. It’s definitely light, which is why it reminds me so much of a classic eau de cologne. But maybe the lemon does, too! Fabulous review — I am craving this now. It’s worth a try, especially as it warms up outside. They’re hard to resist, true. You’re so lucky to have a garden full of lilies! I don’t know if I’ll have much left this year…we’ve had a lot of rodent/ rabbit/ deer damage this winter. I understand that wild critters get awfully hungry…but I kind of wish they’d eat wild stuff and not my expensive bushes and bulbs…sigh. Then Des Lys might be perfect for you–it’s pretty sheer and burns down quickly. Hi Angela. Very nice review. This sounds a bit like Vanille Galante to me. Have you tried it? I do actually get the hint of a bone-dry, nonsweet vanilla in that, though, as well as a bit of jasmine. I just wish VG had lasting power on me — my skin eats up many fragrances, but I swear I hardly smell that one after 10 minutes unless I press my nose against the part of my wrist that I sprayed (even if I spritz my neck — absolutely zero sillage). 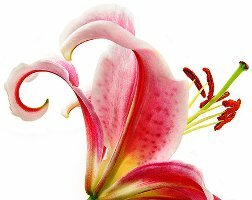 Lily can be a hard note for me to distinguish in perfume because I’ve hardly sampled any of the variations. Sometimes it packs a too-extreme, headache-inducing wallop like the fresh flowers you described, but it would be nice to sample more along the lines of this AG. I think that’s why I enjoy the VG; it’s unique in my collection. I haven’t tried Vanille Galante yet, but I wonder if it has the touch of clean, soapy musk that Des Lys has? I have got to get my hands on a sample of the VG soon. My skin eats fragrance, too, so I’m sympathetic. With scents like Des Lys, I can go wild spraying it on and not worry too much about overdoing it. Yet another reason for me to try it! I’m going to NYC next week and will try to smell some there. Ah, how fun. Enjoy your trip and do as much sniffing as possible! I’m really, really looking forward to it. I’ve decided that I’ll allow myself to buy one bottle of perfume. It’s torture to try to decide what it will be. I was lucky enough to be sent a 4ml sample by the Hermes store in London, and I love this scent, though it has a weird salty opening, just as Robin described it. I got more vanilla than some people have reported, and less lily. This is sensuously scrummy in the way that DKNY Gold is, even though Gold is more lush. Have a great sniffing trip in NYC. Me and MyBeautyBlog are having one in Hamburg this weekend, hurrah! Someone mentioned in another post about layering a TDC scent with Egyptian musk to make it last longer? wracking my poor overused brain (or under-used, it’s a tough call somedays) —anyhow, maybe layering the VG would help…I’m planning on trying that since it doesn’t last very long on me either. Great fragrance, for 20 minutes. Many of the TDCs I’ve tried have disappeared within minutes on my skin, too, except for Rose Poivree. Wonderful piece! I love reading your articles… This might be added to my try list! I prefer a touch of lily, the other notes sound great. I like the sheer/soapy/musky aspect. Thank you! Des Lys definitely has more than a touch of lily, but it’s a clean, sheer lily. Thank you! My kitten Smokey actually was sitting still so I snapped the pic while I could! I usually manage to catch his tail….. Here in Florida, the heat is already sneaking up. I found myself going for my go-to fragrance for warm weather. Today turned out to be moderately warm, but SUPER humid, so I’m glad I used something light. I’d love some warmth, with or without humidity right now. What are your warm weather scents? Very tempting review! I love the idea of a lily scent that can also be fresh and cooling like an eau de cologne . Stargazer lilys are so heartbreakingly beautiful, but always give me an headache as soon as I enter the room, so I cant keep them indoors, unfortunately. Thats probably why I have avoided lily perfumes – but this one sounds like it would be well worth trying. If lilies intrigue you, but can be too much, Des Lys might be just the ticket. SOS alert re: goutal`s Orientals – Gary Farn, AG`s distributor here in the US, is no longer importing this group of scents!!???**!! Info from Bergdorf Goodman. Farn`s wording is `for now…`; this always boads ill! What can we do?? Oh no! I hope the “for now” doesn’t last long, if that’s what is happening. I know lots of people who like the Orientalistes. Back-up plan : I e-mailed Lianne Tio Parfums in the Netherlands, and they ship to the US ! They stock the bath gels and the single candles, too – 23 & 28 euros respectively. Response was polite and quick – NICE! Late to the party. I recently got myself a bottle of this wonderful stuff through ebay. I really like it, luckily as it was another unsniffed buy. Your review convinced me that I had to have it, it is spot on! This is my first real lily fragrance. I am quite curious to try the Malle and the Lutens lily. I’m so glad it worked it out for you! Those unsniffed purchases are so dangerous–yet so tempting. Well, I have bought very nearly all of my Goutals unsniffed. There isn’t a single one I do not al least like. But you are right, it can be dangerous. Have a great Christmas and best wishes for 2010!